Owners of the​ Pawtucket​ Red​ Sox are on​ the​​ verge of moving the team to Worcester, according to people close to the negotiations. Let’s get this straight: Larry Lucchino & Co. wanted to stay. He wanted a new ballpark in Pawtucket. The PawSox were willing to take on the majority of the costs. However, Rhode Island politics screwed things up. Pawtucket Mayor Don Grebien was a major proponent and did nearly everything he could to keep the team in the city. Politicians at the state level, namely House Speaker Nicholas Mattiello, are to blame. He forced the PawSox into a corner during an election year when he blocked the original Senate legislation, prolonging the process. In June, Mattiello put together a second deal in the 11th hour, which the Senate passed and Rhode Island Governor Gina Raimondo then signed. It was a terrible deal. It was a ploy by Rhode Island House leadership, one they knew the PawSox would reject — and that’s what appears to be happening. Now, the team will no longer call Pawtucket home after the 2020 season, instead heading north to Worcester. Smart of McDonald to speak in vague terms here, so that he doesn’t have to mention that the the “terrible deal” the state legislator put together still offered the minor-league team $38 million of public financing—45 percent of the total cost of a new stadium. That wasn’t a big enough handout for the team, which has reportedly gotten a sweeter deal from Worcester. The proposed site for the new ballpark in Pawtucket, at the former Apex department store, would have been the epicenter for the economic renewal and real estate development in downtown Pawtucket. 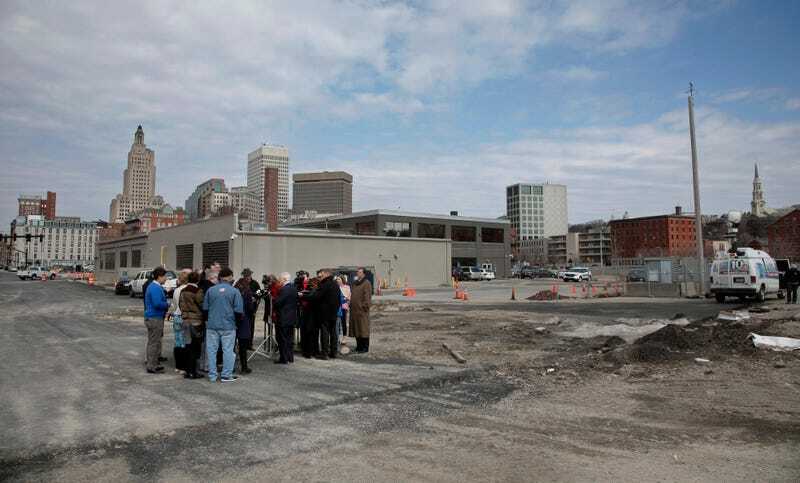 Many real estate deals were waiting for an official announcement that the PawSox were staying. Now that won’t happen, putting other projects in jeopardy. The PawSox changed their name to the Pawtucket Hot Wieners for a promotional night on Thursday, which was a huge success. However, the Rhode Island politicians responsible for the PawSox exodus are the real wieners in this situation. Be sure to support local sports journalism and subscribe to The Athletic!